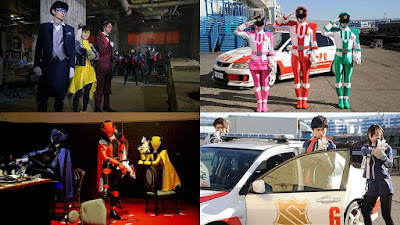 I admit, Kyuranger has its flaws and no series is perfect but I can still enjoy them nonetheless. Some tend to point out about Lucky being a weakness or being the weakness of the show. He tends to come out as Lone Starr in red spandex or the whole "YOSHA LUCKY!" can get in some people's nerves. But if I'm to admit, me getting caught in Kyuranger and somewhat stuck on it can be attributed to my long wait for another space-themed Super Sentai. After some time, it finally arrived. 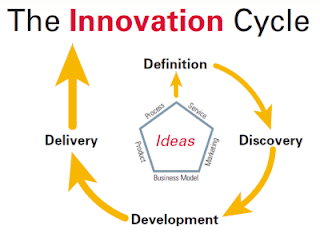 It arrived, it ended and it was a fun ride even with all the strengths and weaknesses associated with it. 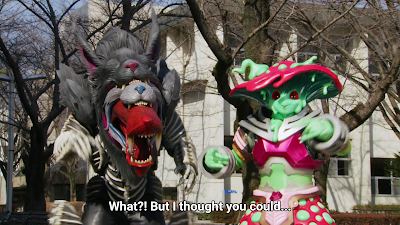 Kyuranger had me hooked in spite of some flaws that some people pick. I thought about the "space opera" was something. Although Lucky tends to get so much attention but there were some interesting development such as Shou Ronpou's past, Naga's emotionless state, Hammy's past brought into the present (and I admit, that episode where she sang renewed my intense hatred for Kris Aquino and Ai Ai Delas Alas -- you know why) and the Jark Matter propaganda. 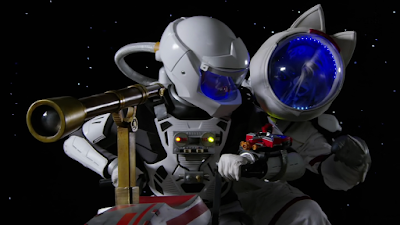 Jark Matter has dominated the Universe for 300 years and the Kyurangers are the only ones who can stop them. I could also mention that the show could be an attempt to close the generation gap. 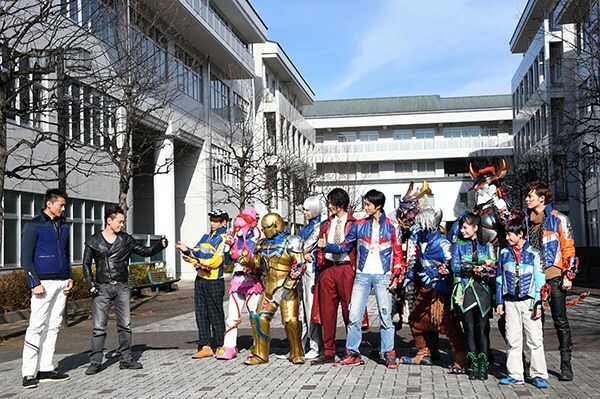 J-Drama regular Keisuke Minami is as old as I am -- and yet he decided to try and blend in with the new generation of Super Sentai. It almost reminds me of Shiro Izumi being the oldest member in Zyuranger -- he was still in his 20s during Changeman and he was 31 during Zyuranger. I do get a blast to the past with a futuristic experience watching the show. 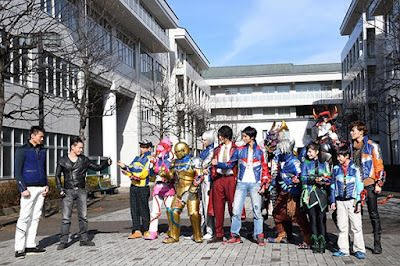 Now, I can't even wait for the upcoming Kyuranger vs. Space Squad movie -- which can be another throwback to my childhood. 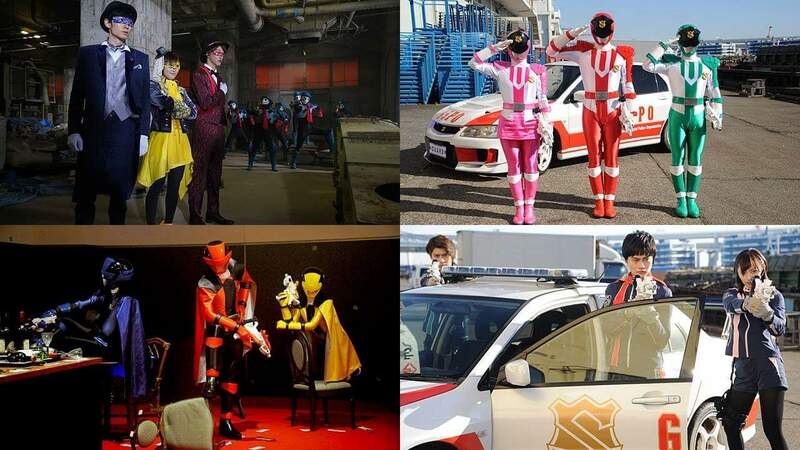 In spite of what I call my "badly needed therapy because I've been "gone to space for a year" (which isn't literal) -- I still found myself enjoying Lupinranger vs. Patranger. Why am I enjoying it? I don't think I can give some reasons except for a mixed bag. It's got cool CGI, new filming techniques and I could talk about the whole Lupin Nostalgia -- though I'm only familiar with Lupin III and Night Hood. This reminds me of the time I watched the Lupin III dubbed in Tagalog and phrases like, "Babayu detektib!" or "Goodbye detective!" play in my head all over again. 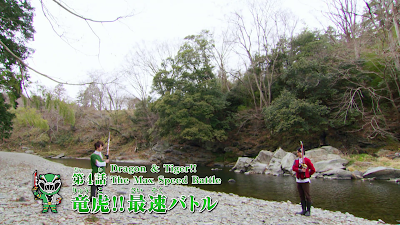 Not to mention, it seems to have its seed from the Gokaiger's 5th episode when the Gokaigers met the Dekarangers in a brawl. I'd still want to think back to 2006 when we had Boukenger and them collecting Precious. 12 years later, we'd have the Lupin Collection which may have some past Super Sentai references or references to non-Japanese media such as Indiana Jones. Isn't Lupin a French invention that evolved overtime in different countries? After all, wasn't Lupin III half-French and half-Japanese in his characterization? Right now, I feel like I'm still under "physical therapy" but it hasn't stopped me from enjoying Lupinranger vs. Patranger. I could still look forward to some insane comedy and action every week until it's over. Until then, ciao and may this be a crazy month end post!